Top industrialist Ratan Tata has invested in pet care portal DogSpot.in, continuing the slew of investments he has made in various startups globally. 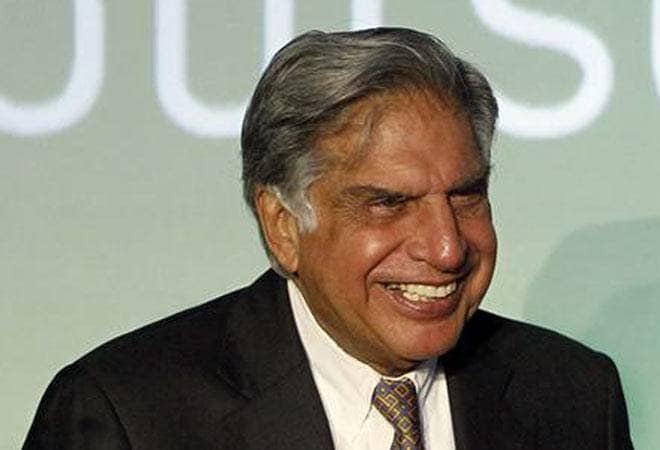 Industrialist Ratan Tata. "Ratan Tata has invested an undisclosed amount in DogSpot.in. Ronnie Screwala also invested in this round along with a few new and existing investors," DogSpot.in co-founder and CEO Rana Atheya said. However, the value of the investment was not disclosed. The other investors in this round include Ashok Mittal, Rishi Parti, Dheeraj Jain and Abhijeet Pai. "The investment by Mr Tata is an endorsement of the long held belief by us and our investors that the Indian pet care sector is going through a phase of huge growth and transformation. DogSpot.in is poised to become an agent of this transformation," he said. Tata Sons Chairman emeritus has been aggressively investing in startups, ranging from e-commerce firms to cab aggregators. He has invested in firms like Snapdeal, Kaaryah, Urban Ladder, Bluestone, CarDekho, Sabse Technologies, Xiaomi and Ola. Previously, DogSpot.in has received seed funding in 2012 from Aloke Bajpai (Founder, ixigo.com), Vikas Saxena (CEO, Nimbuzz) few others, followed by another round in 2013 by India Quotient (Rs 1 crore). In 2014, Unilazer (Ronnie Screwvala), India Quotient (Anand Lunia) and K Ganesh (Growth Story) invested in the company. DogSpot.in was advised by Dexter Capital Advisors on the current deal. "The exponential rise of pet ownership in cities like Delhi, Gurgaon, Mumbai and Bengaluru, the Indian pet care industry is the fastest growing pet care industry globally. One estimate pegs the growth rate to be 30 per cent year-on-year," he said. Given the potential industry size and fantastic growth, it is no wonder that pet shops are mushrooming everywhere, he said adding that the same trend can noticed online with every major online retailer and specialist online retailer running to cater to this ever growing need. "To cater to these pet owners/lovers, our business needs to scale up in every aspect to be able to match up to their requirements. To achieve the desired growth we have to be operationally more efficient and our products have to be global in nature and therefore this funding is a crucial milestone for DogSpot.in," Atheya said. He added the company is focusing on selling products under its own brand and it aims to more than triple its current GMV in next 12 months.